Give yourself the gift of health that will last you a lifetime...Learn Reiki! Become the Healthiest & Purest Part of Our True Self"
Our Reiki I Training is a full day course that will give you a solid foundation of the system of Reiki along with the skill and confidence necessary to use Reiki effectively. Okuden is a Japanese word meaning "Inner Teaching"
This class will deepen your undertanding and connection to the teachings of Reiki while enhanceing your Spiritual Developement. In this class your capacity to channel the healing power of Reiki will deepen, strengthen and increase. You will receive three Reiki symbols, and learn how to use them to enhance your practice. The Usui Power, Usui Harmony and the Distant Healing Symbols are amazingly beautiful and powerful healing tools that will bring MORE joy to your life and journey. In this class students are ready for advancement when they use Reiki often and have a very good understanding of the 5 elements within the System of Reiki and of the Reiki energy itself. Advanced Reiki Trainging is primarily for greater spiritual growth and awareness as it expands the mind with greater Reiki consciousness. Here is what will be taught in this Class. 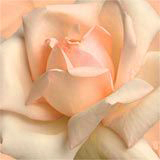 In this final Reiki level class the student becomes a Reiki Master/Teacher. But this does not mean that Reiki is "Mastered", for one can never master Reiki. 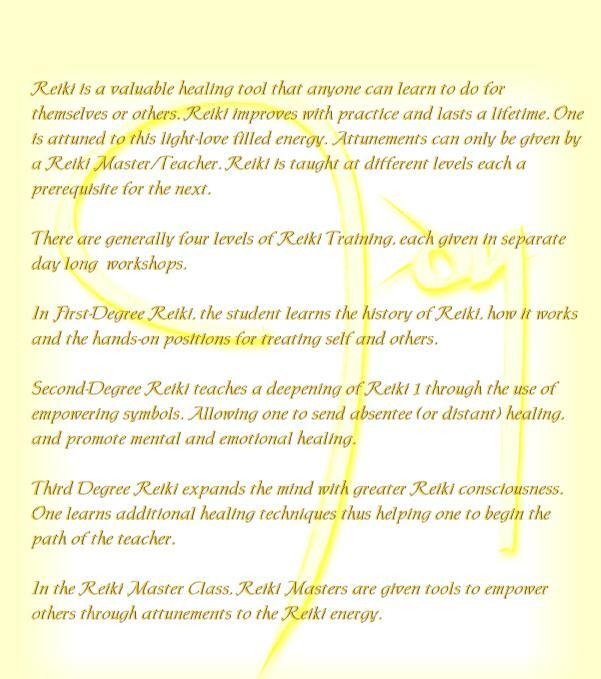 It is continually evolving and so much a person who has the title of Reik Master of Reiki Teacher. A Reiki Teacher guides and allows others to follow the path to healing and spiritual growth. In this level, Reiki Teachers are given tools to empower others through attunements to the Reiki energy.